I just watched a 1983 Burt Reynolds movie on the speed channel about racing and had forgotten that a lot of Buick Regals were racing in those days. You're right Norb,........look at the attachment and see one of my favorites. Norb, Here is some more information about Buicks in NASCAR. I think you'll find it interesting. Let's try to get as many photos of racing Buicks we can find. 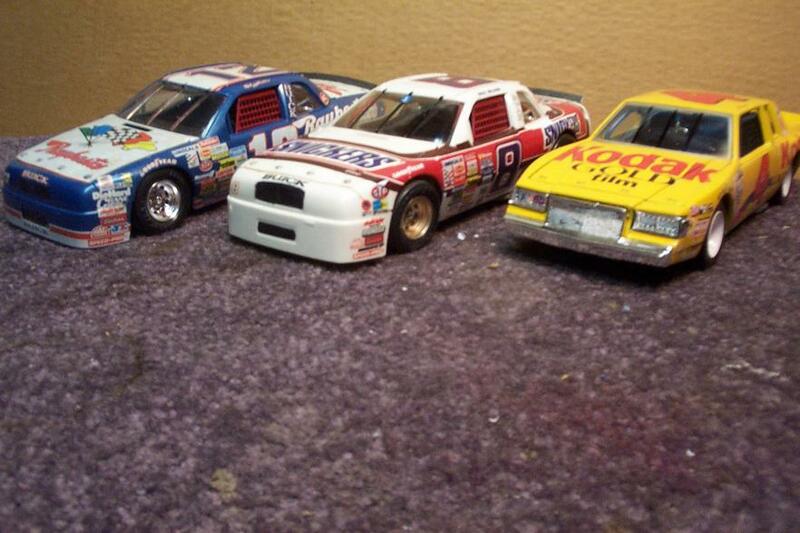 In 1981 Buick won the NASCAR manufacturers Championship winning 25 of 30 races that year!! How many knew that?? NASCAR and BUICKS, it doesn't get much better! Thanks for the great information.I remember several engineers spending time at various tracks working with the drivers to help them. 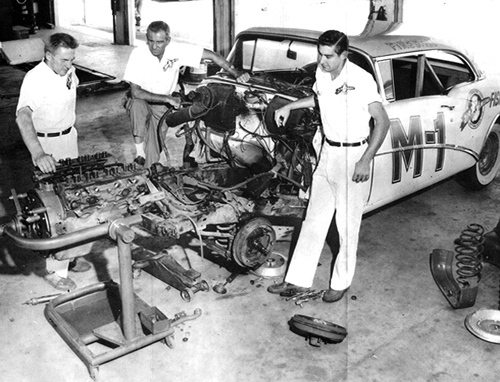 Buick didn't (and still doesn't) get much credit in the advancement in racing. Another photo for you.....1981 Kyle Pettys Regal! Enjoy! I have dozens of Buicks from the early 80's....my favorite period in NASCAR. I'll try popping a few on. 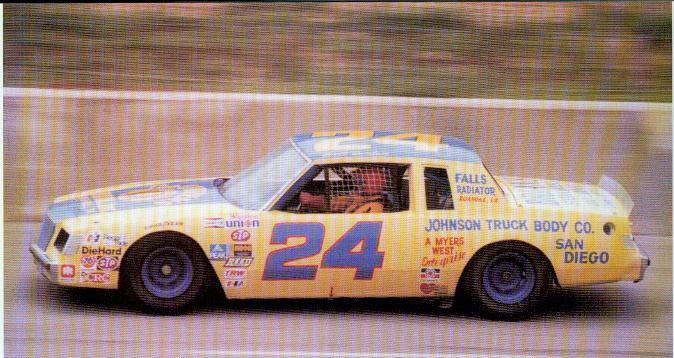 this one is Bobby Allison early in 1981, before they picked up Hardee's. How many of you remember Cecil Gordon (no relation to Jeff). 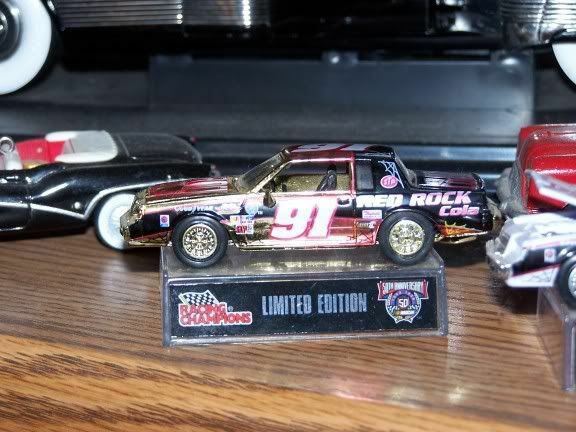 Does anyone know which year's it was a Buick winning the Winston Cup? 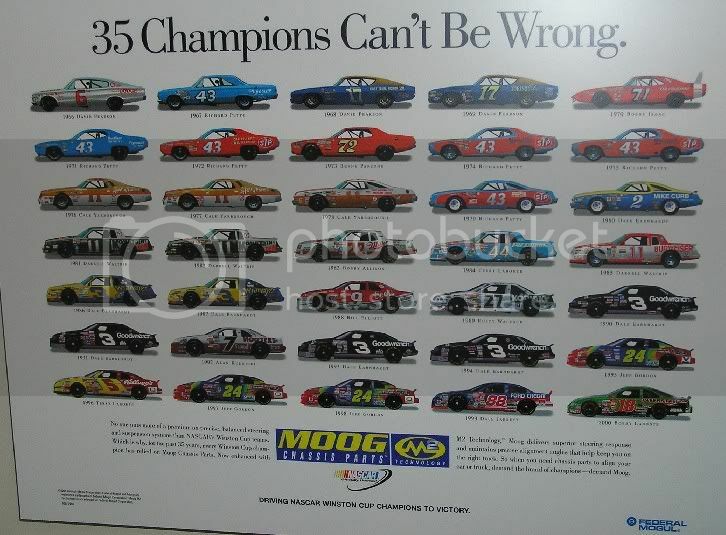 I have a poster board "35 Champions Can't Be Wrong". It was done up for Moog Chassis Parts / Federal Mogul. I'm just not that good at identifying Buicks without Ventiports, especially when decked out in racing colours. I remember this movie, I saw it long ago... I don't remember what Burt Reynolds was driving in it? A Ford?? 1980 was the last year for the older, larger styled bodies...in fact several teams ran 3-year old bodies to use up their inventory. 1981 was the first year for the downsized styles: Buick Regal, Chevy Monte Carlo, Pontiac Grand Prix & LeMans, Ford T-Bird, Mercury Cougar, etc. 1981 Was also a breakout year for Buick. Darrell Waltrip won the Championship in 1981 and 1982 in the Junior Johnson-owned Mountain Dew Buick (attached). Bobby Allison haD finished 2nd to him in the DiGard owned Gatorade #88 Buick in 1982. 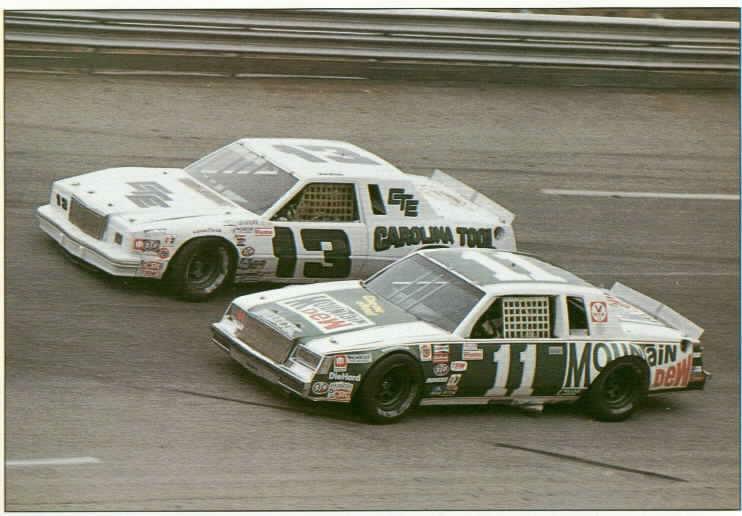 For 1983, the Johnson/DW team switched to Chevy, as well as Allison. The only catch was, Johnson had the exclusive rights to the Chevy Monte Carlo nose (he was also the sole distributor). After several races in a Chevy, and needing a new nosepiece, DiGard, now fed up with the arrangement, switched back to Buick and won the NASCAR title over....Darrell Waltip. So, for 3 years in a row, Buick could lay clain to having their driver win the title. He was driving the redesigned 1983 Thunderbird. Although Buick had previously only won two NASCAR races (both in 1955), 1981 began a period of complete dominance. Twelve models were eligible for 1981, but aerodynamics and rules favored the Regal. Just about everyone was driving the newly designed Buick -Richard and Kyle Petty, Harry Gant, Darrell Waltrip, Bobby Allison, Terry Labonte, Tim Richmond and many others. The following lists some of the major accomplishments of the 1981 Buick Regal. 1981 GRAND NATIONAL CHAMPIONSHIP - Darrell Waltrip won the driver's championship with 12 of 32 wins is his #11 Mountain Dew Buick Regal (above). 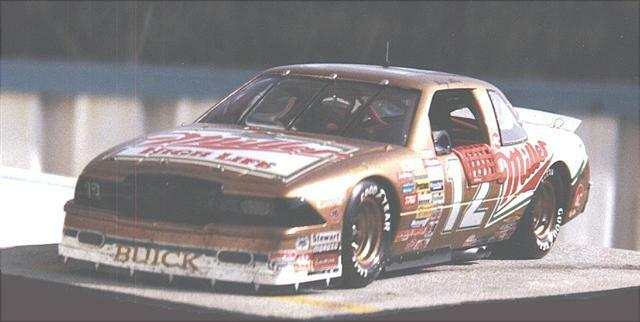 Bobby Allison took second in his #28 Hardee's Buick (below). 1981 MANUFACTURER'S CHAMPIONSHIP - Buick Regals won 22 of 32 races. 1981 DAYTONA 500 -Won by Richard Petty's #43 STP Buick. 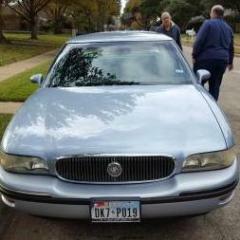 15 of 42 cars were Buick Regals. 1982 GRAND NATIONAL CHAMPIONSHIP - Again, Darrell Waltrip won the driver's championship with 12 wins is his #11 Mountain Dew Buick Regal (top). Bobby Allison again took second in his #88 Gatorade Buick. 1982 MANUFACTURER'S CHAMPIONSHIP - Buick Regals won 25 of 30 races. 1982 DAYTONA 500 -Won by Bobby Allison in the #88 Gatorade Buick and seven of the top eight finishers drove Regals. 25 of 42 cars were Buick Regals. In 1984 Buick recorded two wins, both by Bobby Allison. There were no wins in 1985. By 1986, the Regal was out and Buick drivers were switching to the new FWD LeSabre body. (Buick released a limited production LeSabre Grand National in 1986). "Buick Regal Racing History 1981-1983", Monogram Models insert. 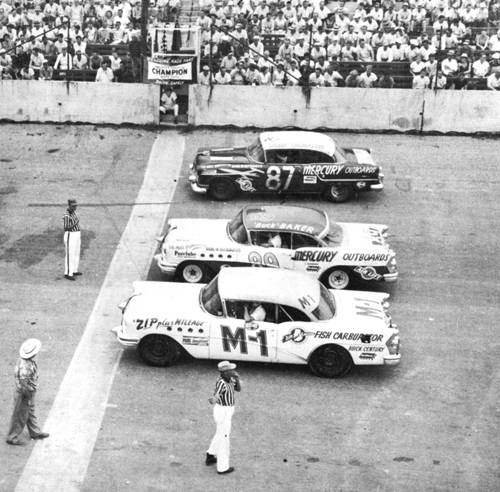 I don't know much about NASCAR, althoough I did enjoy watching the races when I was younger. What engines were in those Regals from the 80's? Was it basically a high performance 3800? The fourth row has Waltrip's Mountain Dew car and Allison's #22 Miller car. Sorry if it is a bit big - I wanted to include the whole thing, but provide enough detail. Anybody know anything about this '87 Buick Grand National. I collect Red Rock Cola and was amazed to find this. Does anyone remember Red Rock. Great ginger ale !!! !